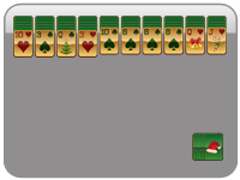 Rather than spending money on stamps this Christmas season, send e-cards to family and friends with any of these Christmas themed Spider Solitaire games embedded in them! 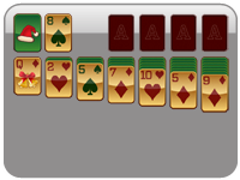 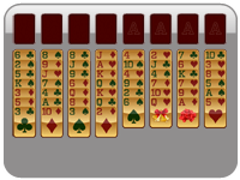 There are three versions of this game, and the easiest is One Suit Spider Christmas Solitaire! 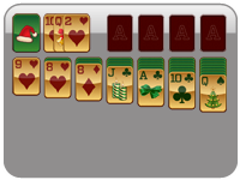 Since you only have one suit to work with, you won't have to worry about alternating colors. 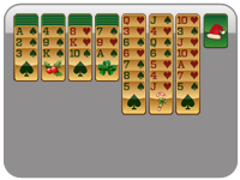 You do not have foundation cells in this game, so just arrange your cards into cascades that start with King and end with Ace in order to win. Use the draw pile to add a new row of cards to your game if you get stuck. 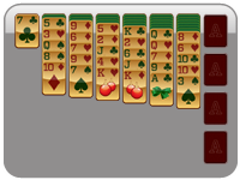 You will eventually be forced to do this, as you must use all cards in the game to win!